On January 29, 2015 Ms. Shaheen Yousaf Diocesan Coordinator of Catholic Women’s Organization approached CLAAS office and shared about the matter of Shazia Parveen d/o Qasim Masih aged 32 who was burnt alive on January 23, 2015. Shaheen said that Shazia’s parents held responsible for the murder of their innocent daughter. She informed CLAAS that Shazia lived in a joint family system along with her husband at Qila Star Shah District Sheikhupura where she was burnt alive. Shaheen said that Shazia’s family is not able to bear the legal case expenses therefore they need legal aid as their daughter was murdered by her husband and in-laws. She also asked CLAAS team if they want to visit the area as well as the mourn family. 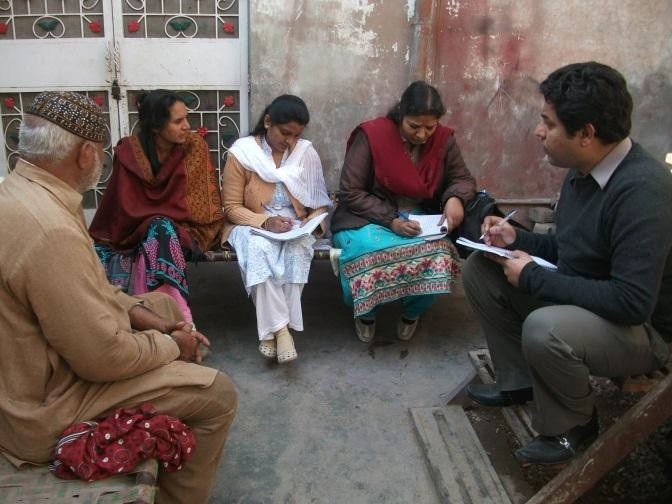 The same day CLAAS team consisting on Mr. Sohail Habel (Finance Manager) Ms. Rubina Ghazal In- charge Legal department and Mr. Hunny Bashir assistant In-charge Legal Department along with Ms. Shaheen Yousaf went to the place of occurrence to collect the real facts behind the burnt case of Shazia. Team visited Amamyia Colony, Luca Park Village Wandala, Shahdra District Lahore and met with Qasim Masih and other family members of Deceased. Qasim Masih aged 60 is a government employ and working in Wapda whereas three years ago his wife has been expired. He informed the team that he has three daughters and three sons; they all married and settled in their houses. Parents arranged marriage of Shazia with Samson Gill s/o Manzoor Gill about 09 years ago. After marriage Shazia lived in a joint family system at Qila Star Shah Tiyyan Village District Sheikhupura. Out of this wedlock she has three Children namely Moon Gill aged 07, Mahek Gill aged 05 and Sharoon aged 04. She was happy with her husband Samson but after two years of her marriage Samson got changed his behavior. After marriage Shazia came to know that her husband was addicted to drink liquor alcohol and used to beat Shazia severely. Meanwhile Shazia came to know that she was pregnant but her husband ignored her, even he did not paid her daily expenses. Whenever she asked her husband for money he beat her harshly. It was difficult for Shazia to ask others in family to fulfill her needs but she asked her parents. Qasim Masih said that he have been supporting his daughter financially. Even then her husband and in- laws did not change their behavior towards her. Several times Samson beat Shazia severely and kicked her out the house and later she came back after a compromise took place between elders in the family. Time and again Shazia was beaten up severely and kicked out from the house after her husband snatched her children. She stayed at her parent’s house and due to the inferior attitude of Samson her father decided to keep her at his place. Later on Shazia decided to take the custody of her children through guardian court but Samson did not appear before the court along with his children. Meanwhile Samson and his family put pressure on Shazia and her family for compromise and again they lived together in a rented house in the same colony Luca Park close to Shazia’s parents. In Luca Park they both were living happily and Shazia started working as a house maid whereas Samson was working in a factory. About six months ago Samson decided to go back to his village along with Shazia and she started living along with his parents. Later Samson and Shazia shifted along with their children in a separate home in the same location. Again they started quarreling with each other and their issues increased over minor and marital things. Qasim always suggested Shazia to compromise for the sake of her children but all in vain. On January 23, 2015 elder sister of Shazia was telephonically informed by Samson that Shazia was expired. 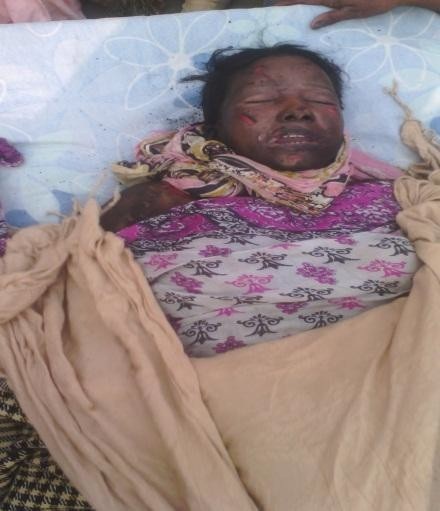 Shazia’s parents immediately rushed towards her house and found Shazia died and also burn at few parts of of her body. Qasim (Shazia’s father) inquired about her death but Samson shouted and said that she burnt herself. Meanwhile Shazia’s husband and in-laws tried to bury her dead body quickly without any delay. 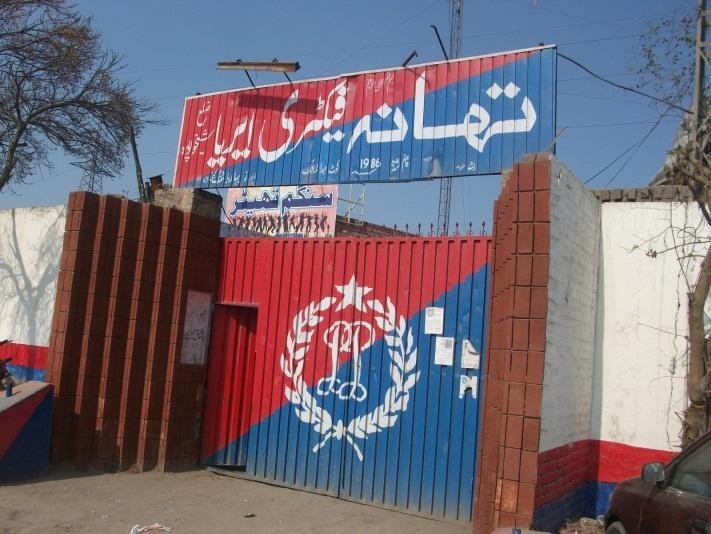 Rafique Mubashar reported the matter to the SHO at area police station Factory Area District Sheikhupura. The SHO reached at the occurrence place and took the dead body in his custody for postmortem. Police arrested Samson on the spot and registered a case FIR No. 103/2015, offence under section 302 PPC against him and confined him in the police station in police lock up. According to Safia on January 19, 2015 Shazia went to her parents and shared that her husband again making her subject of physical torture. There were trivial issues on which base they had quarrels and serious fights in routine. She further informed her father that her husband Samson left her alone for a week and lived along with his elder sister. Meanwhile she herself was responsible to manage the daily expenses of her children. Later Samson became suspicious about her and do not have any trust. He always investigates things related Shazia. Shazia’s family tried best to convince Samson and suggested him to mend his ways but Samson started pressurizing Shazia and openly threatened her for life as do not willing to live with her any more. Team also visited the concerned police station and met with police official. Police informed that investigation of case is in process, police has medical and postmortem report whereas a report of Forensic Science Laboratory was pending. Police said that Shazia’s husband was under arrest and confined in the police lockup. Until report of FSL comes and police investigation is not completed it is very difficult to accuse any one for the murder. Team visited Samson Gill (accused) in the police lockup. He informed the team that he works in Adil Factory Sheikhupura as welder on 12,000 rupees per month salary. He said that he tried his best to have good relations with his wife but she was not cooperated. He further said that he wanted to give a good future to his children but Shazia was a rigid and stubborn woman who never obeyed him and always quarreled with over minor issues. He was not able to afford extra demands of his wife therefore she often left him and lived with her parents. She never looked after her children therefore his two children lived along with his elder sister. On January 23, 2015 in the evening there was a severe fight between Shazia and her husband over the daily expenses. Later Samson was sleeping in his room along with his younger sons. Suddenly he heard someone crying, he awaked and it was midnight time around 01:00 a.m. he saw Shazia crying on the floor. When he went to help him he noticed that she was burnt. Immediately he called on 1122 (emergency helpline) for help to take Shazia to the hospital, before the ambulance arrived Shazia was expired. Team also visited the place of occurrence at Qila Stiar Shah and met with Samson’s mother namely Hameedan Bibi and inquired about the incident. Hameedan was not willing to disclose anything with the team. She simply said that she do not know about the domestic life of Shazia as she lived separate along with his husband even they have separate houses as well. Team also visited the place where Shaiza and Samson lived along with their children. • Samson is an addicted, not responsible person. • Shazia was depressed due to daily disputes and torture. • She was tortured to murder and later she was burnt. • Samson is guilty as he did not take Shazia to hospital immediately and he did not inform the local police even if she committed suicide. • Forensic Science Laboratory report and complete police investigation in this case is very important. CLAAS has taken the responsibility of legal assistance in this case and hired an advocate of High Court in district Sheikhupura to pursue this case. 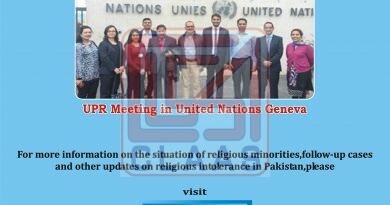 Note: We ask prayers for the Christians of Pakistan in this situation when they persecute each other. It’s not often but very painful and discouraging when ever it’s happen.